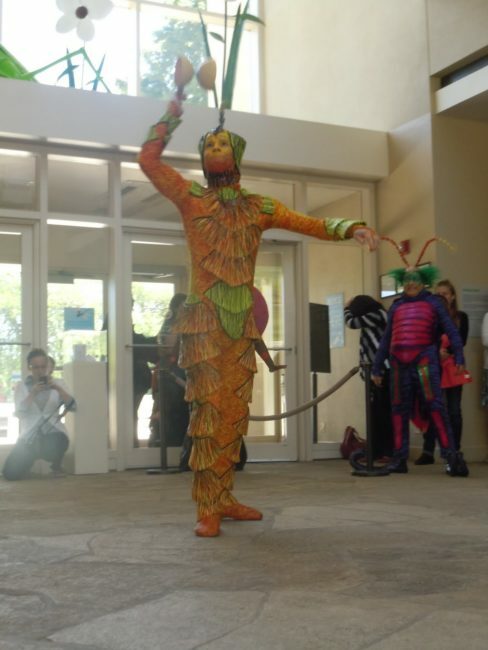 We recently had a chance to see a very short preview of OVO by Cirque du Soleil, which included a diabolo (juggling a spool on a string) performance and a meet-and-greet with two of the creatively costumed characters. My kids were fascinated by the diabolo performance and the characters, but got a little shy when they approached us. OVO is about the insects, their curiosity when a large egg appears, and love between a quirky insect and a ladybug. It will be at the United Center starting on June 29 and running through July 31. There are afternoon and evening performances on weekdays and weekends.Tickets start at $50.50 for children and $68.50 for adults. A family pack of 4 tickets starts at $150. See the Cirque du Soleil OVO page for more information or to purchase tickets.